A satellite North Korea launched aboard a long-range rocket is orbiting normally, South Korean officials said Thursday, following a defiant liftoff that drew a wave of international condemnation. Washington and its allies are pushing for punishment over the launch they say is nothing but a test of banned ballistic missile technology. The launch of a three-stage rocket — similar in design to a model capable of carrying a nuclear-tipped warhead as far as California — raises the stakes in the international standoff over North Korea's expanding atomic arsenal. As Pyongyang refines its technology, its next step may be conducting its third nuclear test, experts warn. The UN Security Council, which has punished North Korea repeatedly for developing its nuclear program, condemned Wednesday's launch and said it will urgently consider "an appropriate response." The White House called the launch a "highly provocative act that threatens regional security," and even the North's most important ally, China, expressed regret. In Pyongyang, however, pride over the scientific advancement outweighed the fear of greater international isolation and punishment. North Koreans clinked beer mugs and danced in the streets to celebrate. "It's really good news," North Korean citizen Jon Il Gwang told The Associated Press as he and scores of other Pyongyang residents poured into the streets after a noon announcement to celebrate the launch by dancing in the snow. "It clearly testifies that our country has the capability to enter into space." 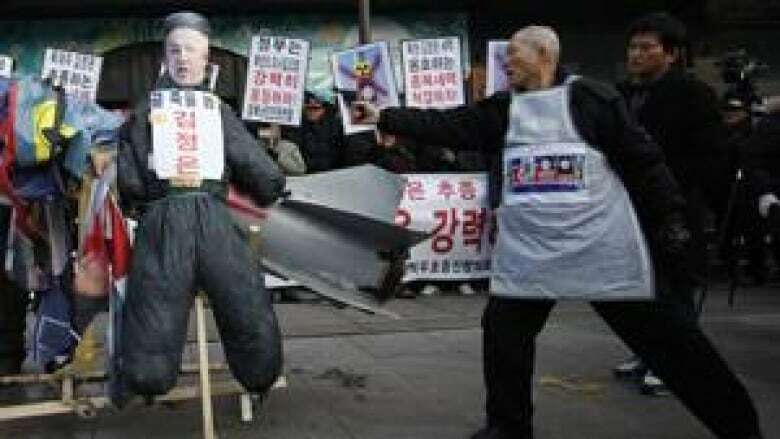 In Seoul, about 100 people held a rally to protest the launch, and burned a stuffed doll of North Korean leader Kim Jong Un and a mock missile made of paper. South Korea's Defence Ministry said Thursday the satellite is orbiting normally at a speed of 7.6 kilometres per second, though it's not known what mission it is performing. North Korean space officials say the satellite would be used to study crops and weather patterns. Defence Ministry Spokesman Kim Min-seok said it usually takes about two weeks to determine whether a satellite works successfully after liftoff. He cited data from the North American Aerospace Defence Command. Wednesday's launch was North Korea's fifth bid since 1998. 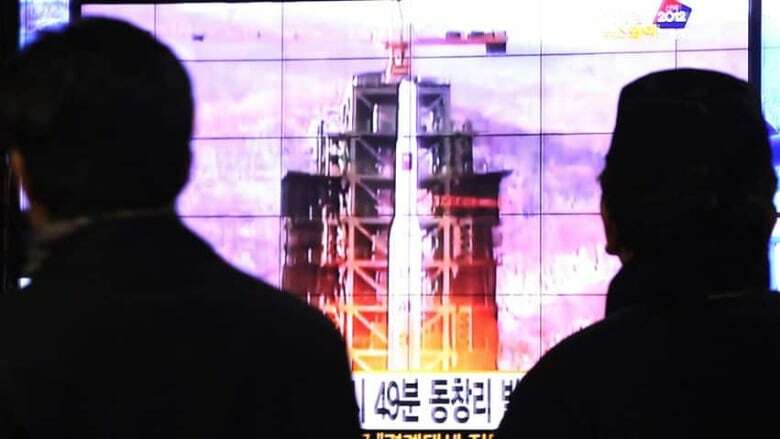 An April launch failed in the first of three stages, raising doubts among outside observers whether North Korea could fix what was wrong in eight months, but those doubts were erased Wednesday. The Unha rocket, Korean for "galaxy," blasted off from a launch pad northwest of Pyongyang just three days after North Korea indicated that technical problems might delay the launch. 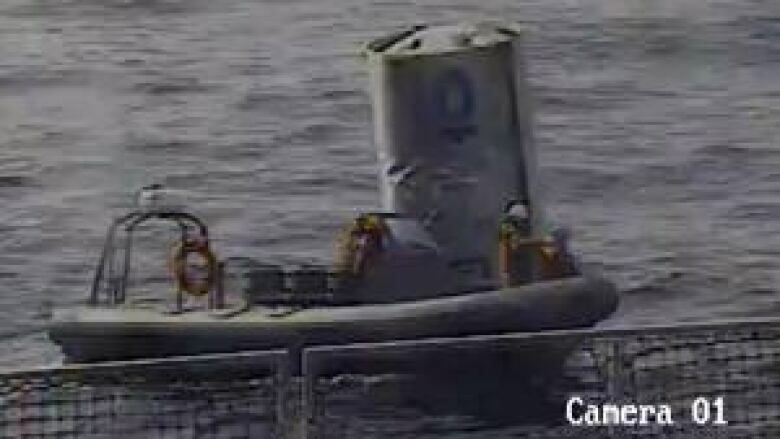 South Korean navy ships found what appears to be debris from the first stage rocket at Yellow Sea and were trying to retrieve them on Thursday, defence officials said. The debris is believed to be a fuel container of the first stage rocket. The officials said South Korea has no plans to return it to North Korea because the launch violated UN resolutions. The North American Aerospace Defence Command confirmed that "initial indications are that the missile deployed an object that appeared to achieve orbit." The launch could leave Pyongyang even more isolated and cut off from much-needed aid and trade. The UN imposed two rounds of sanctions following nuclear tests in 2006 and 2009 and ordered the North not to conduct any launches using ballistic missile technology. Pyongyang maintains its right to develop a civilian space program, saying the satellite will send back crucial scientific data. Pyongyang is thought to have a handful of rudimentary nuclear bombs, but experts believe the North lacks the ability to make a warhead small enough to mount on a missile that could threaten the United States. North Korea's rocket 'provocation' for domestic reasons?